Most modern Ferrari and Maserati use Bosch “hot-film” airflow meters as the primary input into the Motronic for fuel regulation. Unfortunately they are very susceptible to dirt and oil contamination and once their performance starts to degrade it can upset the running of the engine considerably. A failed or failing MAF can be the root cause of all manner of problems and error codes. Fortunately there are a few checks that can be made to determine if a MAF is functioning correctly. 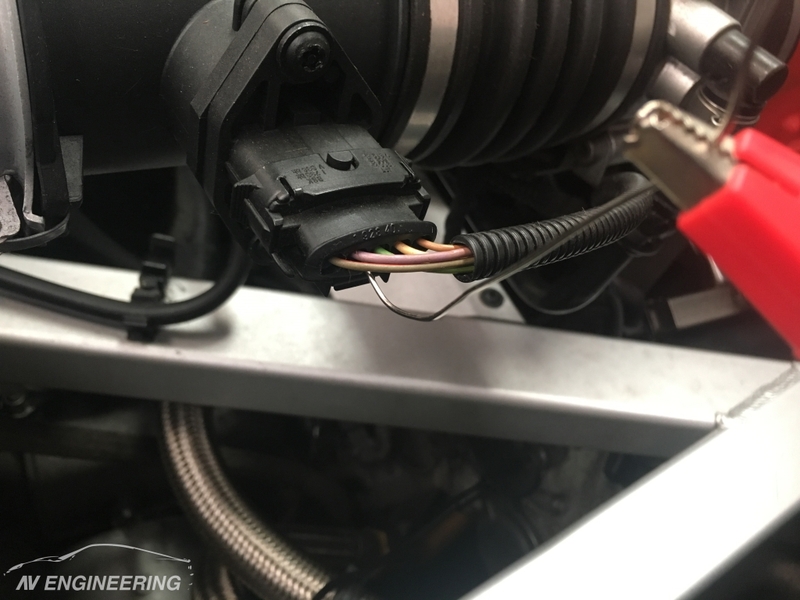 Firstly, if the engine is running very poorly and the MAF is suspected then it can be checked by simply disconnecting it. This will force the Motronic to switch to a different engine map based on throttle angle. If the rough running is cured then the MAF is likely to be at fault and it should be checked for oil contamination. 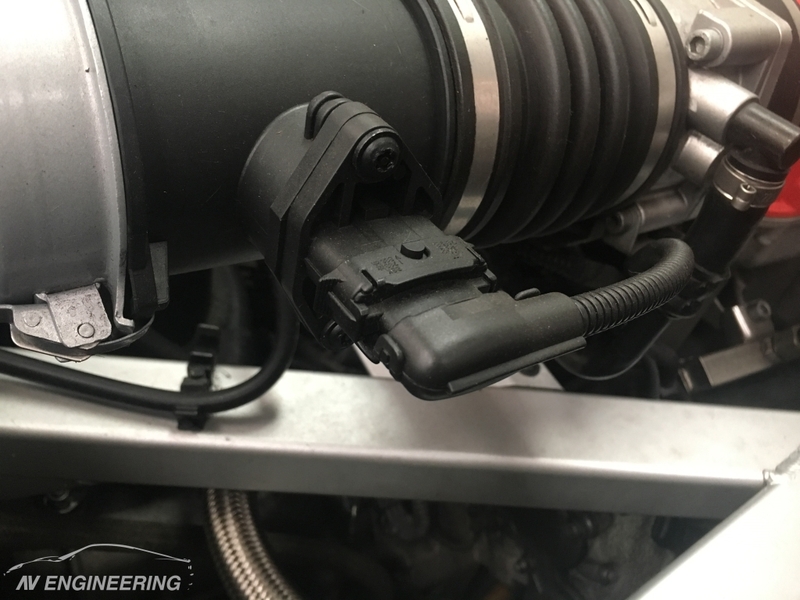 However, in the instance where a MAF is suspected of causing a secondary problem or if the motronic is reporting specific codes relating to the sensor then it can be checked fairly easily. 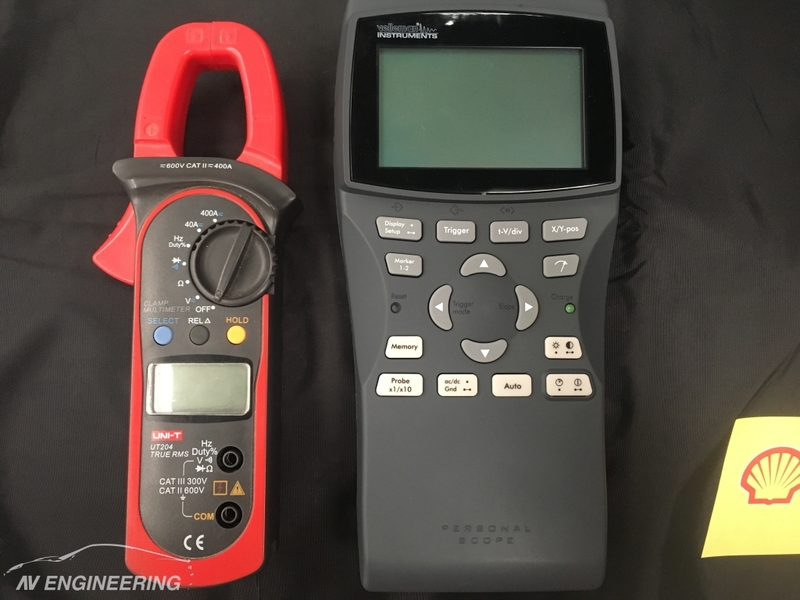 In order to do so a good quality multimeter and oscilloscope will be needed. 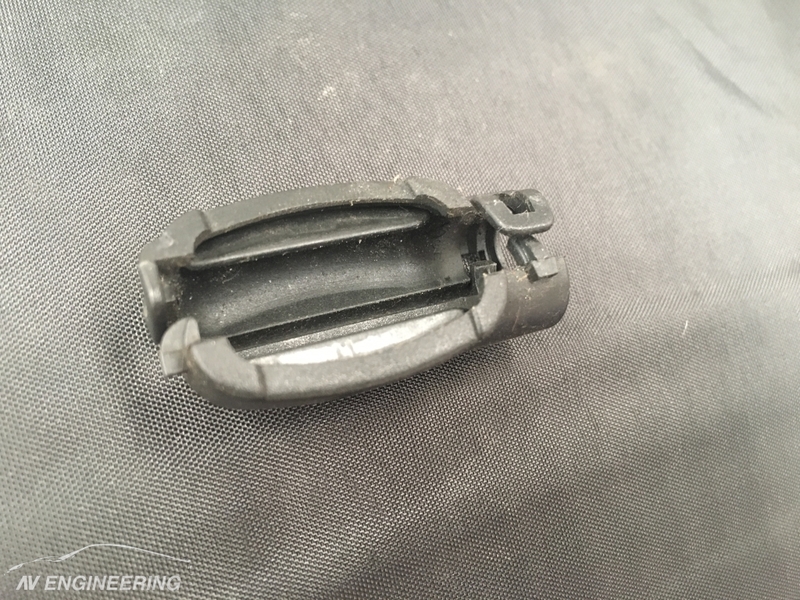 The first step is to gain access to the rear of the sensor connector. This is achieved by removing the protective cover. 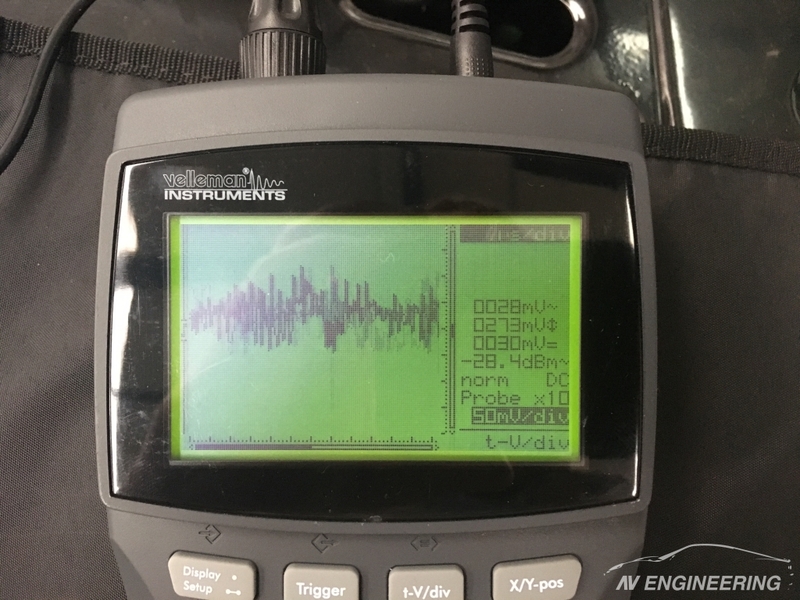 In order to correctly test the sensor it is necessary to insert a probe into the back of the connector and take readings whilst it is still connected. A thick needle or paperclip is ideal. Please take care not to touch them to anything else. Pin 1 is connected to a thermistor that is separate to the rest of the sensor. It can be tested by measuring the resistance between the pin and the chassis ground. The resistive valve depends on the model of sensor and temperature but values in the order of 1-2k ohms are normal – as the temperature increases the resistance decreases. A short or open circuit would indicate a problem. Pin 2 is a switched positive tested by measuring the voltage between the pin and the chassis ground. 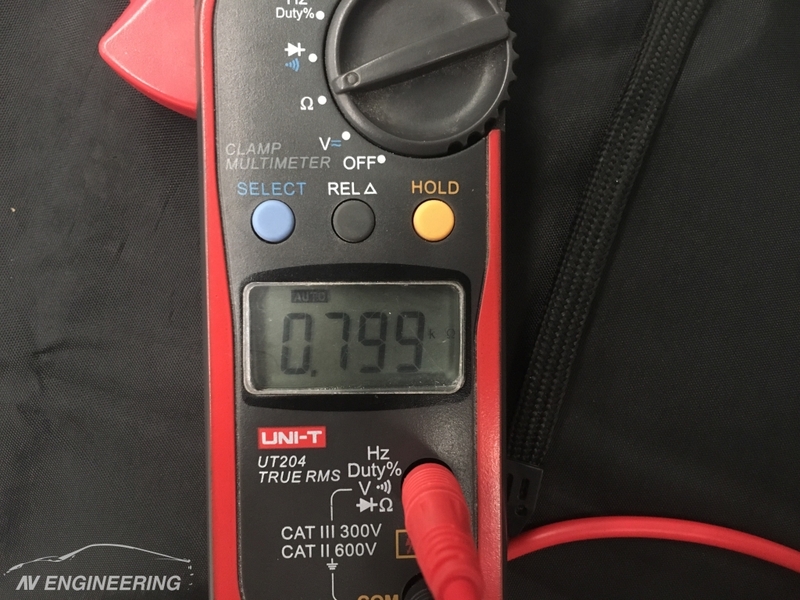 During key-off condition it should be zero, key on (engine off) condition it should mirror the battery voltage (11.5V to 12.5V typically) and engine running it should mirror the alternator output (approx 14V). Pin 3 is the reference earth. This should firstly be tested by measuring the resistance between the pin and the chassis ground which should be a dead short. If any resistance is detected then re-measure the resistance between the pin and the body of the motronoic. 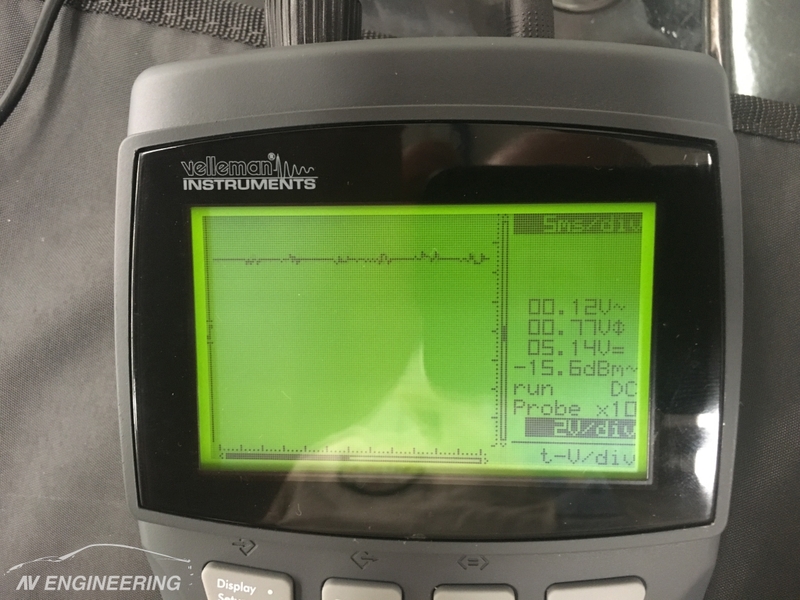 The second test for pin 3 is to view the voltage between the pin on the oscilloscope and the chassis ground. 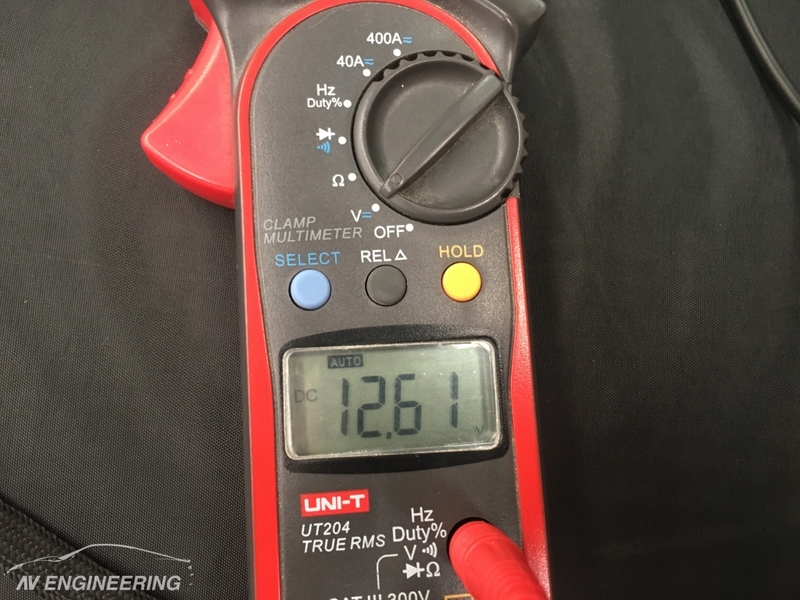 This should be less than 100mV and the trace should be clean (ie: no noise of spikes). Note that although the signal in the picture below looks noisy one should take note of the scale which is 50mV/div. Pin 4 is the 5V signal from the motronic. This should be tested by viewing the voltage between pins 4 & 3 on the oscilloscope. The trace should be a steady voltage with no noise or spikes. Pin 5 is the output signal from the sensor and the one where most of the problems lie. The output is in the range of 0-5V and should be measured between pin 5 and pin 3. During key off condition the voltage will be a hadnful of mV. With the key on (engine off) the voltage should be approximately 1V but, more importantly, steady with no noise. 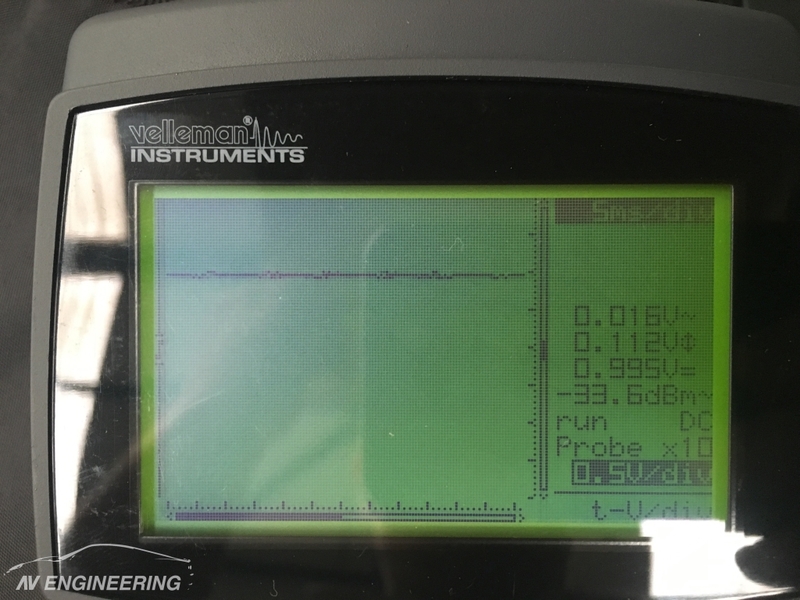 With the engine running the voltage should jump into the range of 1.5-2V. As the engine speed is changed the output should smoothly increase and decrease as shown in the video below. With the engine idling or running at constant speed the output should be steady.